In this episode of The Full Nerd, we name the best of the best. It’s that time yet again, friends. 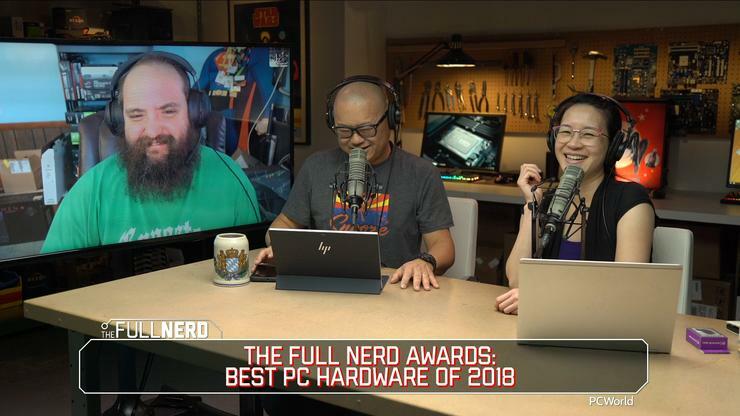 In this episode of the Full Nerd, Gordon Mah Ung, Brad Chacos, Alaina Yee, and Adam Patrick Murray crown the best PC hardware of 2018 after plenty of healthy debate, occasional audience tiebreakers, and a political deal (or two) to secure votes for chosen candidates. You can witness it all in the video embedded above. You can also watch The Full Nerd episode 79 on YouTube (subscribe to the channel while you’re there!) or listen to it on Soundcloud if you prefer the audio alone. If you don’t have time to watch us debate for an hour and a half, here’s the list of our champions. But the best part of this episode is all the arguing and cajoling, so tune into the full thing if you can! Note that this is the Full Nerd podcast’s favorite hardware—not the entire PCWorld staff’s.